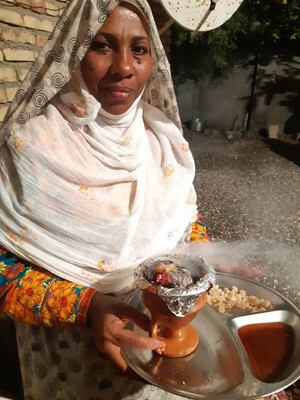 Immigration of Africans – either forced or free – in southern Iran has long been ignored within hegemonial narratives of the multiethnic Islamic Iranian nation. In the course of the last two decades however, critique of government and the social fabric of society is being articulated through cultural expression. Cultural practices, namely the spirit possession practices of Zâr experience increasing popularity and attention. 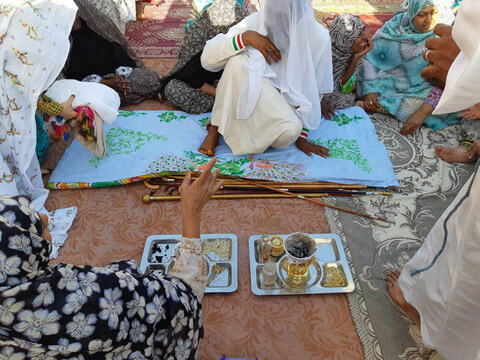 Today, the existence of Zâr is habitually explained with the influx of African slaves. Though it is widely acknowledged that localized variations of Zâr are prevalent in a wide range of regions in the Arabian/Persian Gulf and Indian Ocean rim, the cross connections and interrelations between these possession locations remain less exposed. With Zanzibar rising to a central distribution point and destination for merchants and sailors within the maritime (slave) trade networks of the Indian Ocean in the 19th Century, from a looking position of Southern Iran, the Island became discursively interwoven in notions on slavery on the one hand and spirit possession epistemologies on the other. Trade relations, particularly the import of chandal, mangrove wood, continued late into the 20th century. For a new generation of Zâr practitioners among communities of Black Iranians, Zanzibar evolves to a place of yearning, a place of origin. Many elements of Zâr in Iran are traced back to the Swahili Coast. In the same time, it appears that Persian and Baluchi merchants reciprocally exported spirits, imagined as winds [bād], and spiritual practices from the Gulf to Zanzibar. The multiethnic and multilinguistic situations required mechanisms for integrating the Other. Alongside and within the context of Islam, spirit possession rituals functioned as an ordering framework for communication and social cohesion and are read as an expression of transnational connectivity. In Southern Iran, Zâr communities meet several seemingly contradictory challenges: governmental repressions, governmental promotion, stigma of superstition, public hype, modern medicine, requirements of modern labor, folklorization, commercialization and many more. Attendance in these fields of tension urges practitioners to reflect publicly on believes and convictions and position themselves vis-à-vis authorities. However, it appears that a considerable number of agents refuses to take a stance. The oscillation between believing and not believing allows agents to withstand the dichotomist positioning of ‘heterodox’ and ‘orthodox’ Islam on the one hand, ‘modernity’ and ‘tradition’ on the other. This research project follows various strings to shed light on past and present manifestations of the spirit possession practices of Zâr. 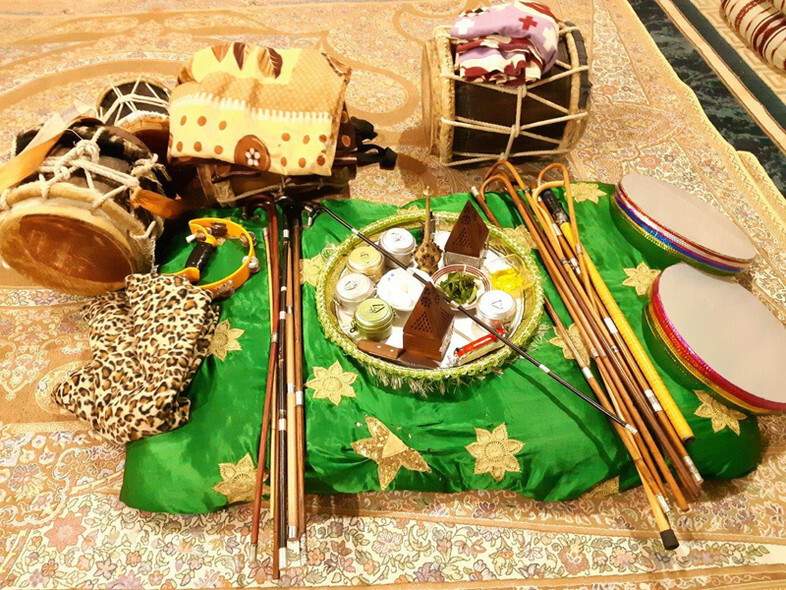 By looking at spirit categories, spirit names, songs, materiality, terminology and ritual choreography as archival practices, we gain further insight on the interconnectivity between the communities in Iran and abroad. 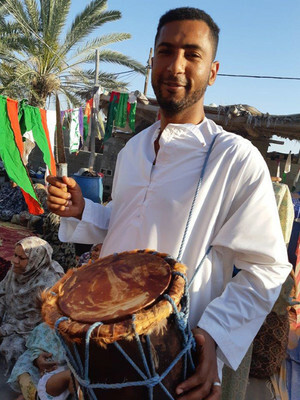 Through anthropological field research in Iran, the United Arab Emirates and Zanzibar, an extended registry of spirit names and songs was compiled. 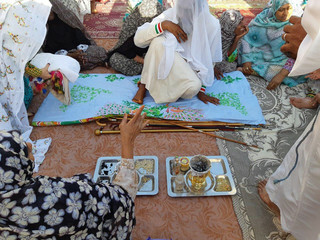 The dynamic, performative archive of Zâr was supplemented by oral history accounts and research in British colonial records. The spirit possession canon provides a rich access to the histories of peoples, spirits and objects, moving along the old trade routes of the Indian Ocean.